Tooth and Claw takes players to the embattled world of Vigilus, where the Space Wolves have come to reinforce a beleaguered Ad-Mech by hunting down Genestealer Cultists in their sewer warrens. However, something powerful lurks deep below the surface of Vigilus–the mighty Abominant. It is hard work being a genestealer cultist. You have to follow what the Magus says, and depending on when you get infected you might be a mutant monsterman or a malformed mutant monsterman, or possibly even a malformed (but so powerful you can punch through a tank) mutant monsterman. And the latter category is the one that interests us the most for today–because the Abominant is a freight train on legs. Seriously folks. The Genestealer Abominant is a fantastic addition to any army. He’s got good stats, hits hard, and can be protected enough that a canny player can get him where he needs to be. So it looks like we’re all about to collaborate and listen, because it’s hammertime. As you can see the Abominant doesn’t mess around. Hitting targets in close combat at Strength 12! he is capable of putting the hurt on pretty much whatever you want easily. Wounding most targets on 2s, and even heavier vehicles on 3s, even Knights. And that’s always dealing a minimum of 3 damage. 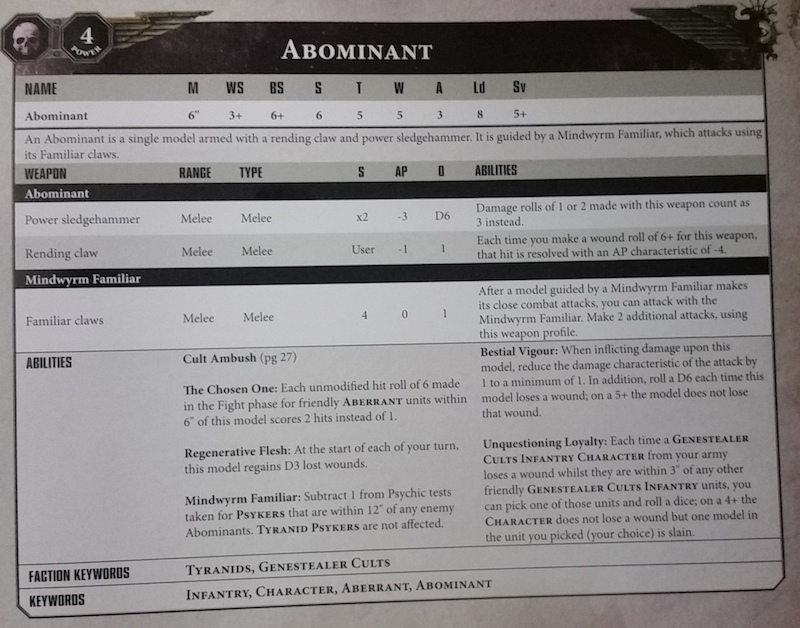 That alone would be amazing, but then sixes on the attack roll are two hits (and that’s true for all your Aberrants), he regenerates, he has a 5+ feel no pain, takes 1 less damage, and comes with Shadow in the Warp. Now he is vulnerable to smite spam, and can only kill one thing at a time. But still. What a punch is packed into this mutant monstrosity. 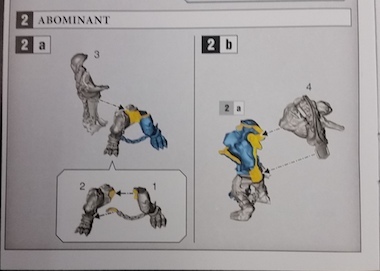 Who is surprisingly complex–his model comes on a single sprue; you’ll find assembly instructions below. 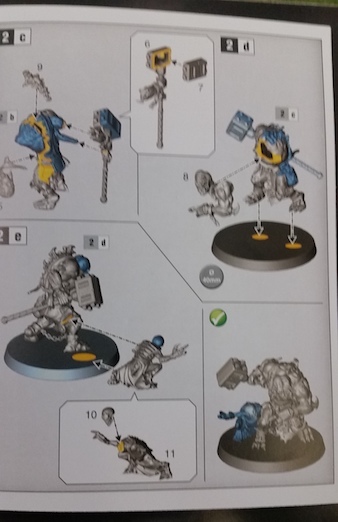 You can find the Abominant in the new Tooth and Claw boxed set, but I’d wager that, come Codex time, it won’t be long before you see him as a clamshell pack on his own. No all that’s left is to come up with your own way to get U Can’t Touch This to play every time the Abominant makes a save or kills a model.